Steve Jobs imagined cloud computing fourteen years before it became a reality. In his mind, optimal efficiency and effectiveness were the result of as little hardware as possible. As we can see from the iPhone, iPad, and soon the Apple Watch, Jobs employed minimalism to achieve the sleekest, simplest design for his products. In the same way, Jobs saw cloud computing as the future of servers and IT networks. Less hardware, less maintenance, more accessibility, faster speeds. Win, right? Just because some people laud the cloud, does that mean cloud computing is best for the businesses in Johnson City, Kingsport, Bristol, and surrounding regions? As specialists in both cloud computing and dedicated server hosting, we (Intellithought) wanted to provide our readers with an in-depth analysis of both solutions for Northeast Tennessee. The results are below, starting with the industry standard: dedicated servers. 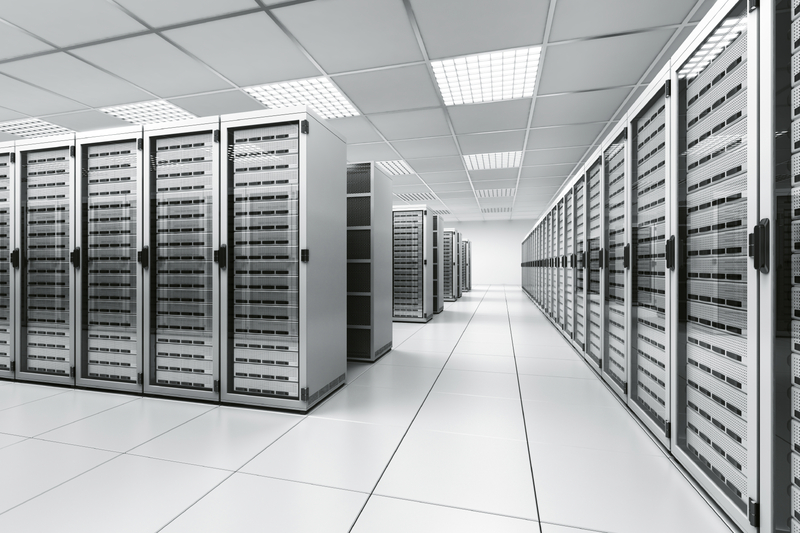 Definition: Dedicated servers mean that a company’s data from all its users is hosted (stored) on company-owned (or leased) physical computers in the same building. One of the biggest benefits of having your own dedicated servers is the security of your data from outside penetration. Your network is less susceptible to cyber attacks, assuming your firewall is properly configured and monitored. In other words, if your network were only local – without Internet access (rare) – your data would be 100% safe from cyber attack. The only threats would come from internal users and physicals hazards such as flooding, fire, or burglary. Setting up dedicated servers allow complete customization for a company’s unique IT operations. For example, a company looking to integrate a POS system, up to four websites, high-security accounting files, and dedicated IP addresses for 20 workstations, then we would recommend a hosted dedicated server-based system with customized programming for the fastest and safest flow of data. Dedicated servers provide the deeper levels of control to implement a powerful solution for companies with unique and expanded IT needs. We recommend these for complex, multi-location companies, medical companies, and financial institutions in the Tri-Cities. Ever experience sluggish cable Internet? It happens when too many users are eating up the limited bandwidth of the Internet connection. This does not happen with a DSL Internet connection because it is a designated line to a limited number of users, providing a stable and consistent performance. In the same way, dedicated servers are the DSL of networks. The number of users is limited and the performance remains consistent. However, to maintain a well-performing dedicated server system requires regular maintenance and upgrading of hardware and software, which can be more expensive than simply expanding to more resources on a cloud plan. Because a dedicated server system require robust hardware, customized software, and the support to maintain the system, the initial cost can be substantial. One thing to consider in selecting cloud computing or dedicated servers for your company is whether you want a large up-front lump sum cost or a lower monthly cost spread over time. A dedicated server network will cost more on the front end to design and install, while a cloud-based system is simple to set up but comes with a monthly “lease” fee structure. The downside of having an in-house system is the risk of a hazardous occurrence that damages or threatens the security or health of your data. If a fire, flood, earthquake, etc., happened and your system crashed irreparably, your data is gone forever. This is why it is important to consider measures to mitigate risk from environmental damage and secure access. Cloud computing companies avoid local risks altogether because the data is stored off-site, providing the ability to restore data and functionality with a few clicks. More on this in the next section. Note: a workaround to mitigate local risk for dedicated servers is to virtualize a server. This process involves creating your own local “cloud” where an image of your hard drives is stored virtually across multiple machines. Talk to us to learn more about the server virtualization process. While some may disagree, there is no universal right answer when it comes to cloud computing vs. designated servers. The soon-to-be $107 billion cloud computing industry is advancing at an accelerated rate, making it more cost-efficient and effective with each day. This trend may make the most sense for small companies or web-based companies, but we often see a hybrid of the cloud and dedicated servers for mid-sized to large companies.